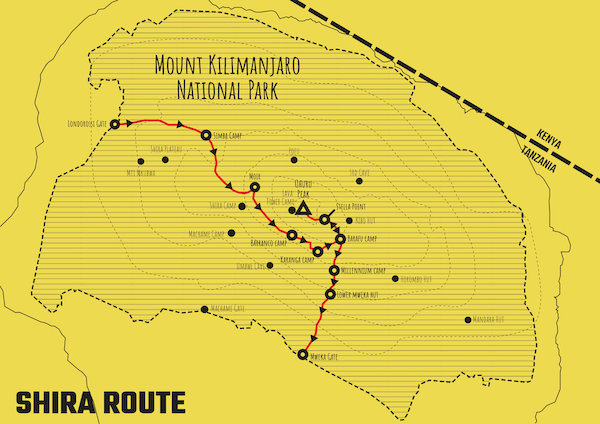 Unless specifically requested by climbers who are already acclimatised to 4,000m from the ascent of Meru or another mountain, and wanting vehicle support to the Shira Plateau, we only use the Shira Route for mountain safety work as a fast way of reaching the summit or Western Breach when short on time. 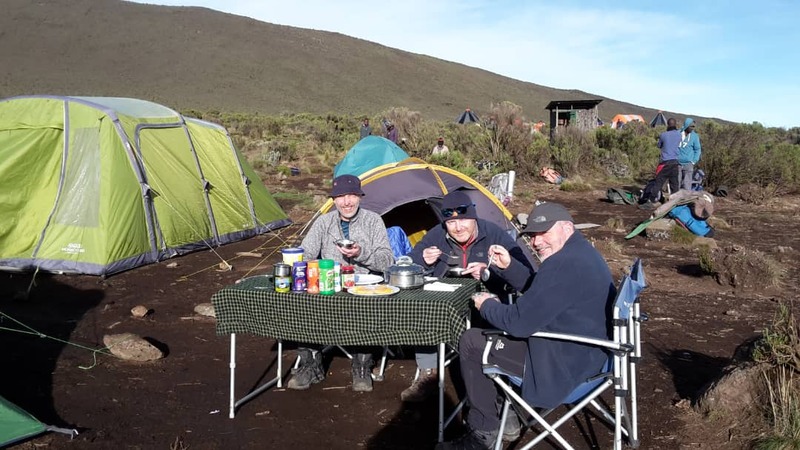 It is possible for an acclimatised member of our staff to leave Arusha early in the morning and be on the summit the same day by driving up to around 3,760m. The route functions as a rescue track. If a sick climber is evacuated west of the Breach Wall he will usually walk or be carried on a stretcher to an ambulance that will have ascended to a point only 15 minutes below Shira Hut. From here it is only 1 hour and 15 minutes by vehicle to Londorossi Gate where a reasonably good main dirt road (except in wet weather when conditions can be treacherous) takes us to Arusha in around 2.5 hours. Want to See Photos of our Trekkers on the Shira Route? Well too bad, there aren't any! We've only used the Shira route twice in the last 7 years! 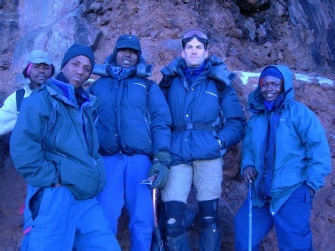 And this was because we were short on time, our founder was climbing, and he and his family were already acclimatised from a recent ascent of Mount Meru; and so used a vehicle to reach the evacuation point at 3,760 metres before beginning the trek to the summit from there. And the other climb group was Henry Stedman, who's a very busy and active guidebook author who had already climbed Kilimanjaro many times. So, you can only see a handful of Shira Route images. Thinking of incorporating the Western Breach?